In splicing, strips of plant fibres (flax, nettle, lime tree and other species) are joined in individually, often after being stripped from the plant stalk directly and without or with only minimal retting—the process of introducing moisture to soften the fibres. According to lead author Dr. Margarita Gleba, researcher at the McDonald Institute for Archaeological Research, University of Cambridge, "Splicing technology is fundamentally different from draft spinning. 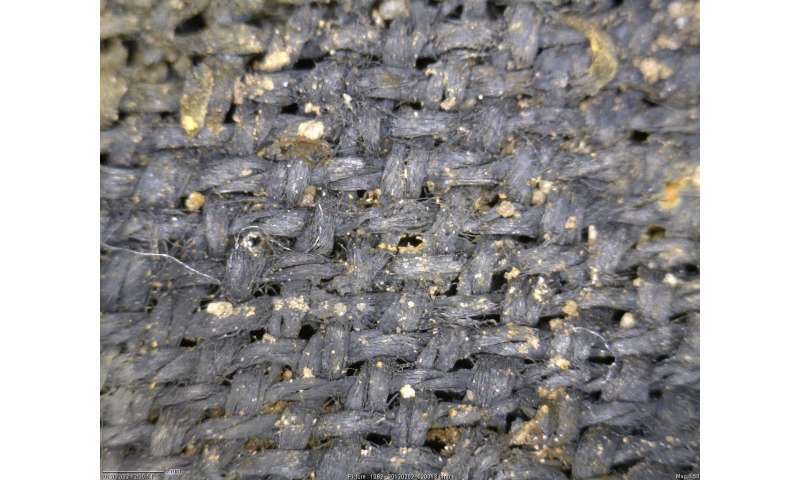 The identification of splicing in these Early Bronze Age and later textiles marks a major turning point in scholarship. The switch from splicing—the original plant bast fibre technology—to draft spinning took place much later than previously assumed." "The technological innovation of draft spinning plant bast fibres—a process in which retted and well processed fibres are drawn out from a mass of fluffed up fibres usually arranged on a distaff, and twisted continuously using a rotating spindle—appears to coincide with urbanisation and population growth, as well as increased human mobility across the Mediterranean during the first half of the 1st millennium BC."